Following the confirmation that a new Legend called Octane is set to release alongside the Season 1 Battle Pass for Apex Legends, many players have found themselves wondering when Octane will be available to unlock. To help clear everything up, we’ve put together a quick guide outlining when Octane unlocks and how much it’ll cost to purchase him in Apex Legends! Octane is scheduled to unlock at the same time as the Season 1 Battle Pass in Apex Legends on March 19, 2019. 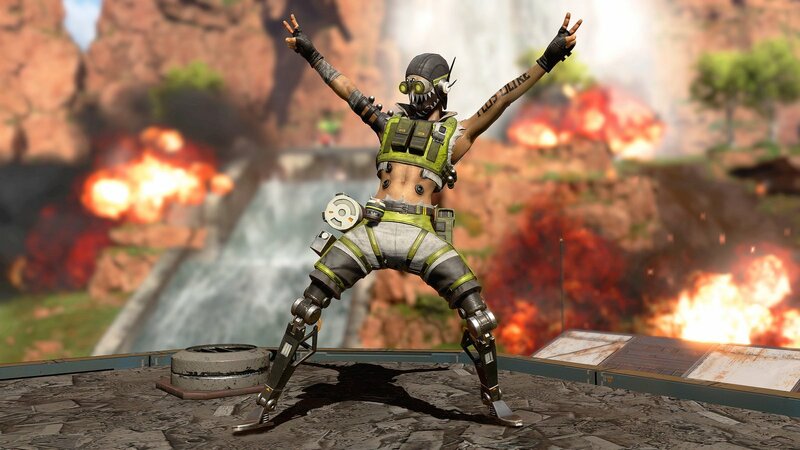 Octane is the latest Legend character to be added to Apex Legends. Octane can be unlocked for 750 Apex Coins or 12,000 Legend Tokens starting on March 19, 2019 at 10 a.m (PST) or 1 p.m. (EST). At this time, both the Season 1 Battle Pass and Octane will become available for purchase. Note that Octane is not included in the Season 1 Battle Pass, but is a separate addition to Apex Legends. As such, Octane must be purchased separately from the Season 1 Battle Pass. If you don’t see Octane in the list of Legends, close out of Apex Legends and restart the game. In doing so, you should notice the game download the latest update introducing the Season 1 Battle Pass and Octane. Again, the update will launch at 10 a.m. (PST) or 1 p.m. (EST) on Tuesday, March 19. Once this update has finished downloading, open the game and navigate to the Legends tab to view Octane and learn more about how his character works. If you like Octane and wish to unlock him immediately, all you need to do is exchange either 750 Apex Coins or 12,000 Legend Tokens. On the PlayStation Blog, Octane’s abilities including speed and health regeneration were briefly outlined in order to give players a better idea as to what they can expect from Apex Legend’s newest character. To recap, Octane unlocks at the same time as the Season 1 Battle Pass in Apex Legends on March 19 at 10 a.m. (PST) and 1 p.m. (EST). Octane is separate from the Season 1 Battle Pass, meaning if you wish to unlock him you’ll need to purchase him separately. Octane can be purchased in exchange for 750 Apex Coins or 12,000 Legend Tokens. Now that you know when Octane will unlock in Apex Legends, be sure to check out some of our previous guides including our outline of all Season 1 Battle Pass rewards in Apex Legends, how much the Season 1 Battle Pass will cost you in Apex Legends, and Octane’s confirmation as the latest character in Apex Legends.